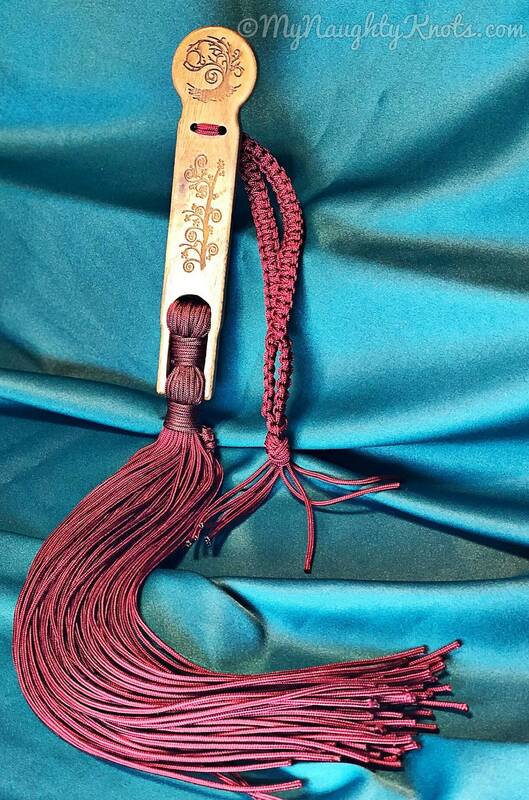 This unique flogger is made with solid Hard Maple handle that has been engraved with a whimsical tree. The 72 stinger fall is made of rich burgundy nylon chord. Will look great hanging from your Mistresses or Masters belt. Free engraved PERSONALIZATION on the back of handle.